If your roof surface is flat or has only a slight pitch, there are several benefits to using Spray Polyurethane foam. Foam roofs are very durable and last substantially longer than most other types of roofing, but they must be maintained (see maintenance schedule below). Polyurethane foam is an excellent insulator. It meets and exceeds building code requirements, and is a form of energy efficient green construction. Generally, an average size, average difficulty residential replacement foam roof can be completed in less than a day, making the application process simple for a home owner or occupant. A Spray Polyurethane Foam (SPF) roofing system consists of two heated liquid components which are combined and sprayed onto a prepared surface. The mixture instantly bonds to the substrate surface and expands to form a rigid foam closed cell structure. The two heated components expand to many times their original size, which can be used to alter the roof slope, build up low areas, or improve drainage. Within a few minutes, the sprayed foam hardens to form a durable lightweight monolithic waterproofing barrier. Generally, foam is sprayed to a depth of 1″ to 1.5″ inches. Sprayed Foam has an excellent R-Value and generally 1″ of Foam represents about 4″ of fiberglass in terms of insulation. Walking on the hard and durable foam roof surface feels somewhat like walking on a concrete sidewalk. Spray Polyurethane Foam (SPF) is vulnerable to ultraviolet rays, and must be protected by an elastomeric coating layer. Usually a white coating (acrylic, polyurethane, or silicone based) is used to provide a reflective surface. By nature, SPF Foam Roofs are water resistant because the structure is based on millions of tiny closed cells. This closed cell structure also makes the foam an excellent insulator, giving SPF foam an incredible R-Value of 7 per inch. R-Value represents thermal resistance; the higher an R-Value, the more effective an insulator. Foam is the highest R-Value insulator on the market. It’s no surprise Sprayed Polyurethane Foam has often been used to insulate the external fuel tanks of NASA space shuttles to keep them super-cold. In addition to insulation and water resistant properties Foam has additional benefits. A monolithic Foam roof can prevent moisture vapor transmission or be used to improve the appearance or aesthetics of a roof. Lightweight SPF foam can also relieve structural stresses replacing heavy substrates such as tar and gravel. In addition to excellent thermal resistance, SPF Foam is very fire resistant. 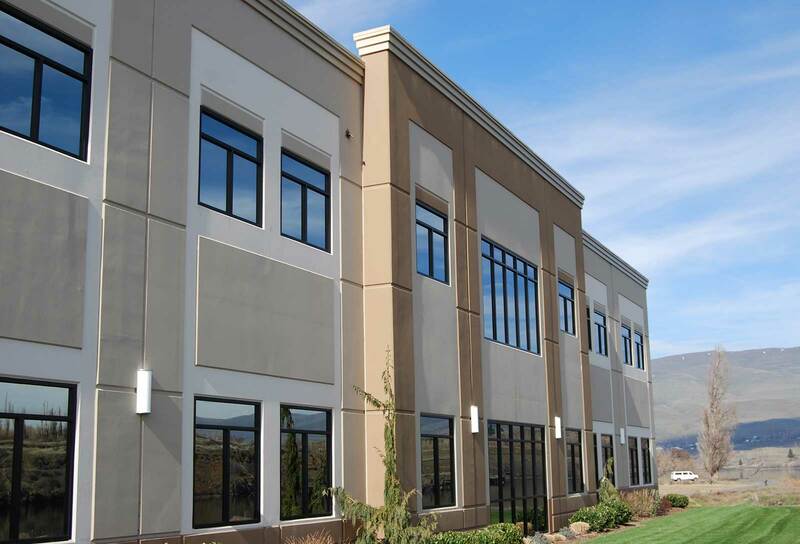 Polyurethane Sprayed Foam meets or exceeds all building code standards, and is approved by all national building codes, including International Code Council (ICC), the International Building Code (IBC). Overall, SPF Foam is an incredibly efficient product, and because of high R-Value and insulation properties, a Foam Roof can eventually pay for itself in energy cost savings. With the steep rise in energy costs during the past few decades, a Foam Roof may provide a substantial cost savings on gas and electric heating and cooling bills. Whether a structure is a massive warehouse or a small Eichler flat roof home, the energy cost savings provided by an SPF Foam Roof are substantial. SPF Foam Roofing is an Energy Star approved product as well. Energy Star is an international standard for energy efficient consumer products. First created as a United States government program in 1992, Australia, Canada, Japan, New Zealand, Taiwan and the European Union have adopted the program. Foam Roofing meets or exceeds Energy Star standards in energy efficiency and reliability, such as solar reflectivity and roof life. Surveys conducted by Dr. Dean Kashiwagi of the Del E. Web School of Construction at Arizona State University and Dr. Rene Dupuis of the National Roofing Foundation revealed that SPF shows little sign of deterioration even after 30 years. Dr. Kashiwagi is the pioneer of the “Performance Based Procurement System” for buying best performing services/facility systems. Between 1983 and 1996, he surveyed the performance of more than 1600 SPF roofing systems, the oldest of which were more than 26 years old. Of the roofs surveyed, 97.6% did not leak and 93% had less than 1% deterioration. These are impressive numbers considering 55% of those roofs were never maintained. In the most comprehensive roof survey ever performed by the National Roofing Foundation, Dr. Dupuis evaluated 160 SPF roofing systems in California, Texas, Wisconsin, Illinois, New Jersey, and New York. In presenting his findings, Dr. Dupuis concluded that SPF roofing systems appear to have a very high degree of sustainability with an indefinite life expectancy when properly maintained with periodic recoating. Both Kashiwagi and Dupuis also noted the physical properties of SPF did not diminish over time, and more than 70% of the roofs were applied over existing roofing systems. These findings indicate a properly maintained SPF Foam Roof can be expected to last the lifetime of the property. An SPF roofing system should be inspected after a natural disaster such as a hurricane, tornado, massive hail storm or a heavy Arizona Monsoon Burst. Otherwise, a professional inspections is recommended every five years. When the surface membrane has substantially thinned due to UV damage or weathering a re-coat of an acrylic or silicone based elastomeric coating will be required. Generally, minor damage can be repaired with elastomeric coating and caulking type sealants. In some cases, extensive damage due to neglect or other circumstances may require additional SPF and coating. When Should Spray Foam Roofing be Applied? SPF Foam Roof Systems adhere well to most flat or low slope roofing substrates including metal, wood, concrete and BUR. Foam is extremely lightweight and can often be applied over an existing roof system, after the existing system has been properly prepared. In some cases, a professional inspection reveals an existing roof covering must be torn off before an SPF roofing system may be applied. SPF foam roofing system installations require an experienced crew with high technical knowledge and experience, which Overson Roofing has. To get the maximum benefit of an SPF Foam Roof system it’s important to have it installed by experienced professionals. A key sign of an incorrect installation is the interlaminar blistering of SPF layers, which indicates poor substrate preparation, equipment problems, sub-optimal installation environment (humidity or other issues), or improper installation procedures. Manufacturers recommend installation should not proceed when humidity is within five degrees of the dew point, or during extreme cold weather. A warm dry day with low winds provides an optimal application environment. Extreme High winds are not optimal, but installation can proceed. For example, a barrier can be used to prevent overspray. Since technical knowledge, experience, and proper installation procedures are critical it is important to choose a contractor with a solid track record of positive performance. Also keep in mind, Sprayed Polyurethane foam is ultra light-weight, and can easily be carried by winds a few hundred (or a few thousand feet) depending on the stories of the installation property. We have procedures in place to either cover overspray vulnerable areas, or use some type of barrier to prevent overspray from being blown away from the roof area. Generally SPF foam cures within minutes. However, coating may take hours or longer to occur, depending on a few factors including: the number of coats, the thickness of each coat in mils, present temperature and humidity levels, and type(s) and colors of coatings applied to the SPF substrate. Some coatings may also emit strong fumes while curing and it may be best to cover or close vents and turn off AC units, or other air-handling types of equipment if there are building occupants during installation. The cost of SPF roof systems depends on several factors including the size of the roof, required foam thickness, the type and thickness of coating or covering, and labor or materials requirements for substrate preparation. Some other factors to consider might be location: is it out of the way or difficult to reach the property, or is it in a busy area in a city where installation can be slowed down or difficult due to traffic, OSHA regulations (such as protective equipment for multiple story buildings). Substrate preparation varies; for example, a new construction roof (lower preparation costs) may require staples and rolled roofing material to cover bare wood, which would incur minimal materials costs and labor hours vs an older roof with several old re-roofed layers which must all be torn off (consider disposal costs, labor hours, etc). The cost of a FREE estimate is FREE, so feel FREE to call or fill out the request for a FREE estimate to the right. Are SPF Roof Systems Green Construction? Properly installed SPF roof systems can easily last 20 years or longer without any maintenance. In fact, properly maintained SPFFoam Roof systems can last the life of a property. A related study was performed in 2004 by Michelsen Technologies. This involved aSPF roofing system life-cycle analysis in five climate areas of the United States. Analysis of evidence led to the conclusion that the average SPF roofing system costs 15 percent to 50 percent less to install and maintain than a conventional membrane roof system over a thirty year time period. The study reported costs based on 6-year, 10-year, and 15-year re-coat schedules. At the 1996 Sustainable Low-Slope Roofing Seminar, Oak Ridge National Laboratories described green construction roofing systems: [these are]”roofing systems that have a long life, low maintenance, save energy, add durability to buildings, control moisture in buildings, and contribute very little to the waste stream.” Foam roof systems meet every requirement of the definition of green roofing provided by Oak Ridge National Laboratories. Foam roofs provide excellent insulation which cuts energy usage, which lowers fossil fuel consumption, ozone depletion, and prevents global warming. Often light-weight foam can be applied over an existing roof-membrane (i.e. the original membrane can be re-used), which prevents landfill waste. Landfill waste is a significant issue with roofing. According to a 1999 survey by the National Roofing Contractors Association (NRCA), more than 68.5 percent of the $11.3-billion low-slope re-roofing market includes tear-off and replacement of the existing roof membrane. Foam roofing is also renewable; after installation, proper maintenance only requires periodic re-coats, which can allow the Foam Roof System to last the life of the building. Remember, to reap the most from a SPF foam roof system, a knowledgeable and experienced contractor should be hired. 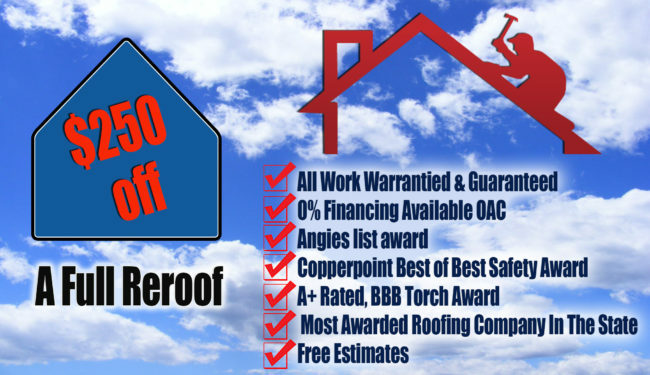 Call or fill out the form to request a FREE Roof Inspection and professionally prepared proposal to repair, replace or maintain your roof.